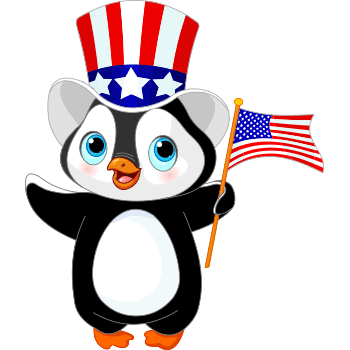 Decked out in stars and stripes, this penguin will add patriotic fervor to any post. If you have something patriotic to say, this little mascot will help you say it. Get to know our database so you can find all your favorite images to share. You're sure to attract lots of attention to your Facebook posts when you add imagery.